Over on our tumblr page, we’ve been featuring spooky art to celebrate Halloween. Tumblr’s staff selected our post showcasing designer Magnus Gjoen’s skulls to feature on the tumblr radar – check out one of the skulls below, and head over to our tumblr page to see more! 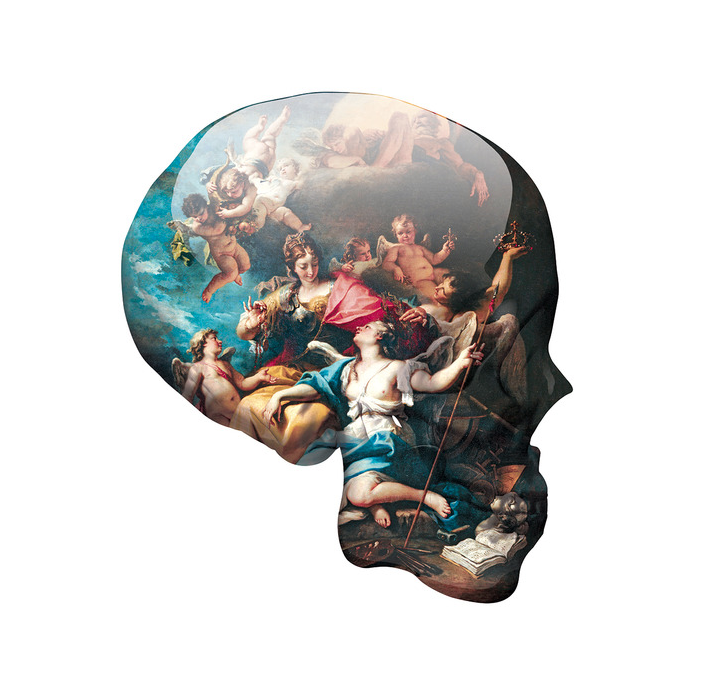 The way this artist uses contrasting/contradictory images, such as Renaissance traditional art images in the shape of graffiti-esque graphic skulls, is a really interesting commentary on different ways of viewing art. The aesthetic of traditional art married with the aesthetic (or anti-aesthetic) of contemporary art — especially that of street art that isn’t meant for the gallery or museum — really emphasizes the divide between Academic and post-Academic art histories. great blog you gots here, thank you for making it available!